Review: I have to be honest — I borrowed this book because of its gorgeous cover. I mean, look at it! Those orchids, that blurred background, the italicized title — it’s like one of those artsy pictures on tumblr with the inspirational quote in the middle (“the road to love takes many paths”). Props to jacket designer Erin Fitzsimmons. From the very beginning, you are awash with a sense of the bittersweet. The protagonist Nina Perez does not want to leave her “seaside home in Samana on the north coast where the humpback whales come every winter and fill Samana Bay with miracles and tourists” (1). She has every reason to love her home in the Dominican Republic, a place brimming with sunlight and blooming life. Nina is the flower girl and she belongs there. The chapters set in Samana are truly beautiful. The first person narration allows you to view New York through Nina’s eyes as an immigrants unused to city life. While Nina’s perspective makes her plight easily understood, it does little to explain her sudden love interest. To me, it felt like the romance split the narrative into two parallel stories. There is the story of Nina, the flower girl who adapts to New York and grows strong enough to recognize the desperation of her brother. Her strength and independence manifests itself in the orchids blooming on her fire escape. And then there is the story of Nina, the helpless girl who needs her green-eyed love to rush in and carry her off on his trusty white steed. (Seriously, the guy has a white jeep.) The sibling dynamic between Nina and her brother is compelling enough to drive the story forward and I wish it had gotten the attention it deserved. For the most part, Flowers in the Sky lives up to its title. 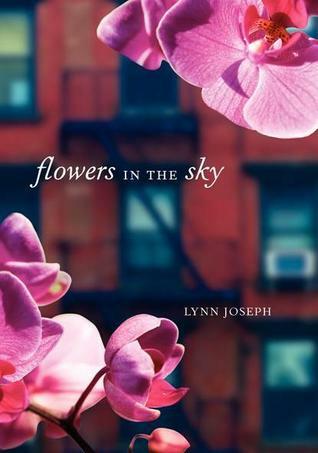 The story and the floral theme work together to conjure up an image of orchids struggling to flourish in the sky — it’s a poem in the guise of a novel. Recommendation: Borrow it sometime if you see it in the library. (If lover-to-the-rescue isn’t your thing, maybe skip it.) It’s a short, sweet read. Thanks for your review. I added this book to my wish list. Unfortunately, my library does not carry it.